It is that time of year that Flathead Lake Whitefish are biting and we thought we would do some digging and lend some tips of lures and techniques. 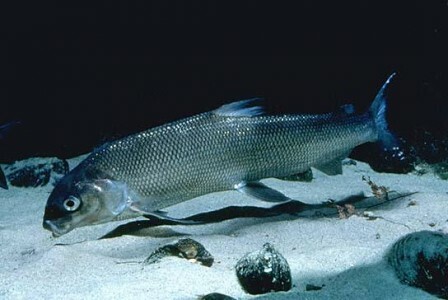 Flathead Lake Whitefish are the largest of the whitefish species in Montana and can be up to 10lbs! They are a highly entertaining and playful fish to chase and a delicious addition to the dinner table! A delicate touch is essential to catch this delicacy and here is the information key to any anglers success. Yellow and Green colors are best (Brighter during cloudy days or when fishing deep water around 90 feet, Darker when the sun is shining and fishing shallow waters above 60 feet). The deeper you are fishing the more weight you will need the lure to be. Lake Whitefish are bottom feeders so you need to imitate a small fish they normally feed on like perch and suspend the lure 2 to 3 inches off the bottom. When suspended on the bottom you should slowly be setting it on the bottom and then raising it back up helping to imitate a small fish even more. If there is tension when raising the lure off the bottom, there is most likely a fish on the line and setting the hook is of upmost importance to have a catch. You do not need to use bait while fishing with this lure. Yellow and Green colors are recommended again, being the main color that Lake Superior Whitefish have eyes for. 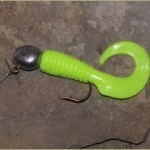 We recommend to use this lure with a maggot as bait. Gently jig the lure 2 inches off of the bottom creating it to slowly bounce. If the tip of the pole moves ever so slightly you have a bite and you need to set the hook! Add some reflective green tape to help improve your chances of a bite. 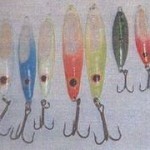 Tipping the lure with maggots is another recommendation. Remember Lake Whitefish are bottom feeders, so you need to suspend at the bottom.